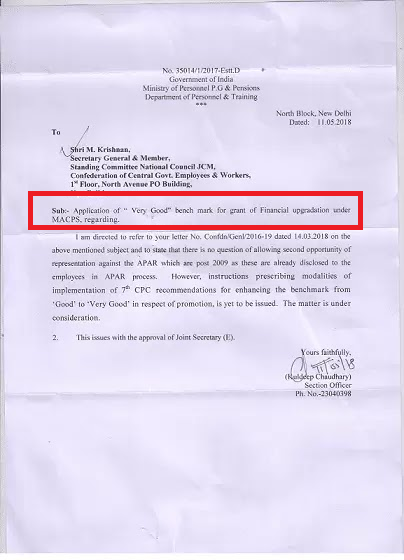 Sub: Application of “Very Good” bench mark for grant of Financial upgradation under MACPS, regarding. 7th CPC recommendations for enhancing the benchmark from ‘Good’ to ‘Very Good’ in respect of promotion, is yet to be issued. The matter is under consideration.